Emotions ran high as we arrived at our last stop in Mannheim- after almost a month of traveling, each day of which was so intense, we arrived tired and hungry, but the happy, smiling faces of our local organizers was the much needed breath of fresh air. What made it even more perfect was the sun being benevolent, as we stepped out under a clear blue sky to dine on German delicacies. 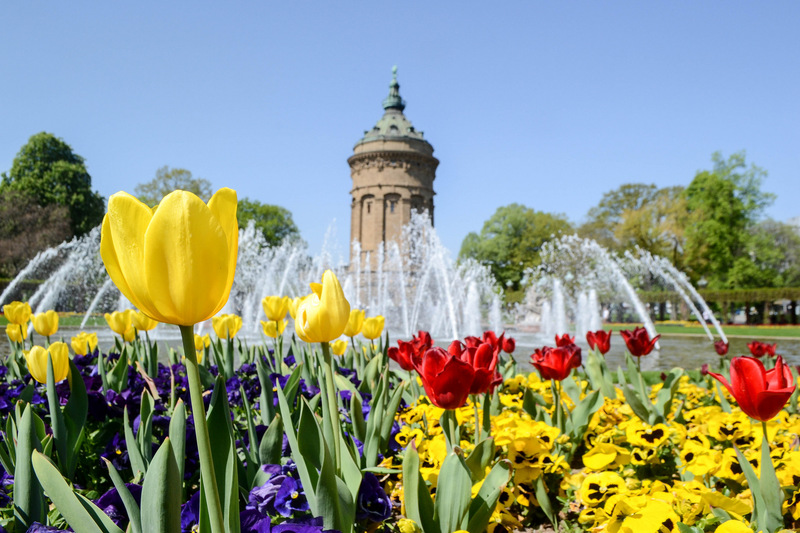 Despite being a relatively small city, of just 300,000, Mannheim is very diverse, and estimates suggest that people from 130 different countries live there, while others say it is even more diverse. My host, Leon, showed me around the area in Mannheim which is known as Little Istanbul as it there are many Turkish people living there- following that we had a very intense discussion about what goes in the bowl first, the milk or the cornflakes, but I will save that for another blog post. But there was so much talk about food, because it was there in the air- literally. There is a chocolate factory in the city, and at most places in the city, there is a waft of chocolate randomly pervading in the air. Some corroborate that it is too intense at times, while others say that it always has them longing for a chocolate bar. We were also told about a Mannheim way of life, of getting straight to the point, but not in an unfriendly way, but in the way of being honest about things, and if that is extended, it felt that this friendly straightforwardness is built into the temperament of the city. Mannheim is called the die Quadratestadt, the city of sqaures- Mannheim’s city centre is divided into squares that in total forms a grid. The columns and rows are named with letters and numbers alternatively so the address of your street could be ‘K4’. It very much shows the spirit of Mannheim in that instead of unnecessary romanticizing, and make things as easy as possible. Yet it was romantic in all the ways it tried to be not, as we sat by the banks of Neckar, and the sun shone for us on all the days that we were there. It was a very cool experience for Team Purple to be able to the centre of Municipal Waste Management of Mannheim. In the city, four types of wastes are collected and separated, in some around 130,000 bins, some which are collected once a day, to some that are picked up only once a month. In this particular plant, garden and municipal waste is composted- people bring their garden and organic waste here to get rid of. There were several hillock size piles for the wastes, depending on what stage the waste was on. 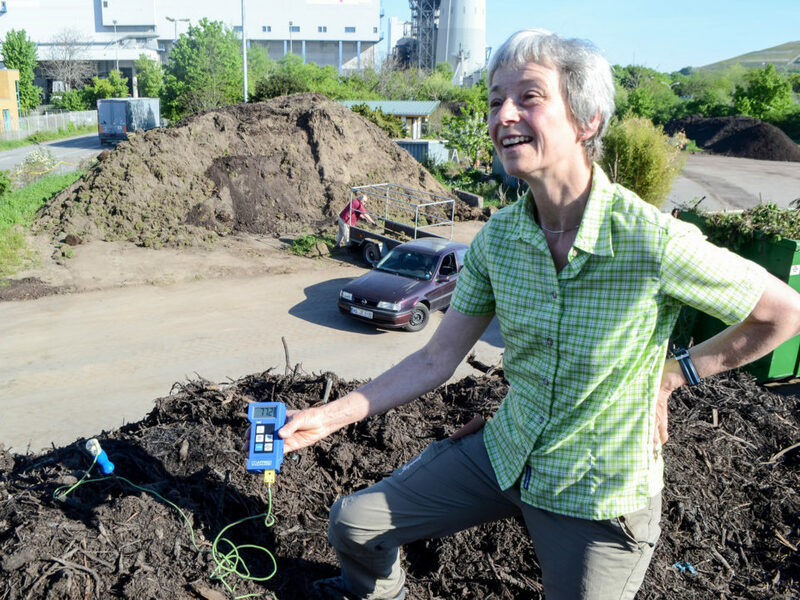 Microorganisms and other bacteria inserted in the soil degrade the waste which is here. Surprisingly, the temperature of the waste inside was 77 degree celcius when we measured it. Once the waste is composted enough, it turns into soil which is then used as a fertilizer.They do campaigns about avoiding waste as well. Next we visited a plant of MVV Energe Supply, which is responsible for electricity generation for many different cities. We were also shown how the waste of the city is burnt there- we were shown how a truckload of waste took an hour to burn in their boilers. It’s especially fascinating as when you see all the waste collected together and then realise the scale, of how single drops make up an ocean. That’s when you realise how each choice counts. We conducted three workshops, about climate change and sustainability, personal sustainability and economic sustainability. We also got to attend a lecture at the University of Applied Sciences about sources of energy and could introduce the project there. 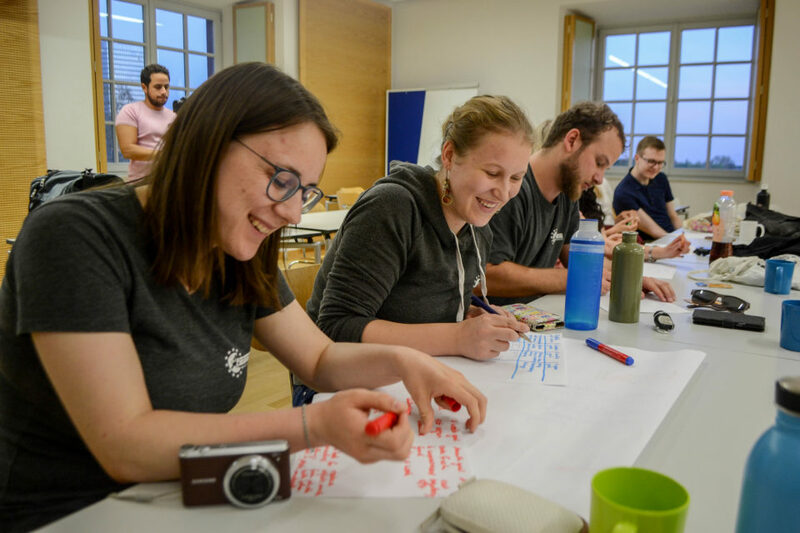 It was almost like the best was saved for the last for us, as AEGEE-Mannheim made sure we had an incredible time, as we ended Europe on Track with a flourish. Check out our adventures in Utrecht here !